Globetrotting artist 1010 recently made his way out to Michigan for the latest edition of Murals in the Market in Detroit’s Eastern Market. The German artist painted a stunning new piece entitled “Abyss” featuring his signature vibrant layered aesthetic that entrances the viewer into feeling as if they’re being sucked into another realm. 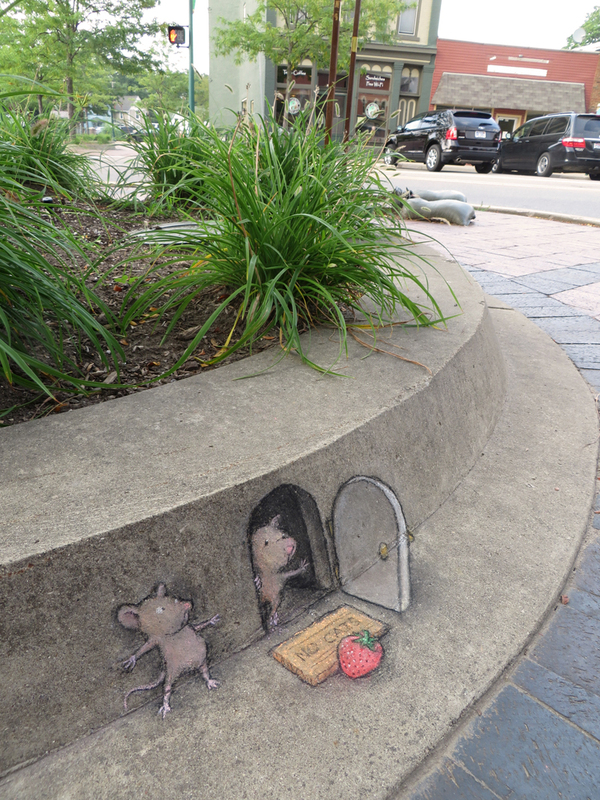 For over a decade, artist and illustrator David Zinn has created amazing work in the streets of Ann Arbor, Michigan. Zinn uses chalk, charcoal and his surroundings to create unique trompe l’oeil illusions. Graffiti artists Yok & Sheryo have been in Detroit and they have been going to town. The duo have been tearing up the streets and abandoned locations with a bunch of new street bombing work.